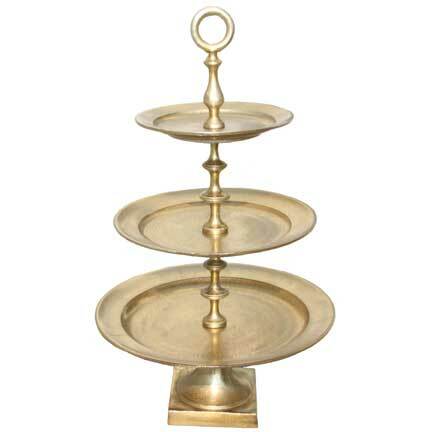 This versatile 3 tier tray is perfect for cupcakes, appetizers, and much more. The gold color makes for a great gold accessory to your event decor. Stands 34" tall. Bottom tier measures 20" in diameter. Middle tier measures 16" in diameter. Top tier measures 12" in diameter.